When you shop at Goodwill, you get more than a bargain; you can establish a personal style, find unique items at a discounted price and supply your home without breaking the bank. 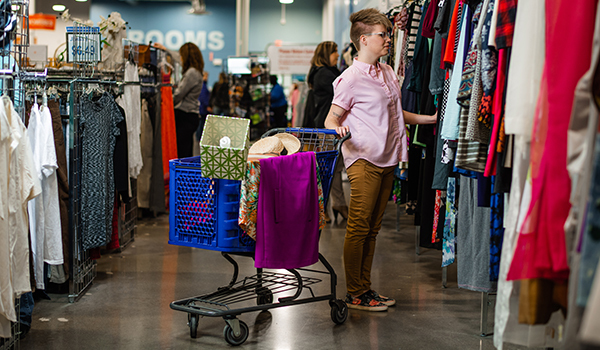 Find great deals on new styles, vintage favorites and everyday home items—at Goodwill of Central Iowa’s 17 locations, there’s something for everyone. Rounding up at the Goodwill of Central Iowa cash registers resulted in $169,308 for our mission in 2018. Of those donations, 100 percent went to support our skills training and employment services for individuals with barriers in Central Iowa. Thank you for helping us change lives! Be the first to know about sales and special events with our weekly newsletter!